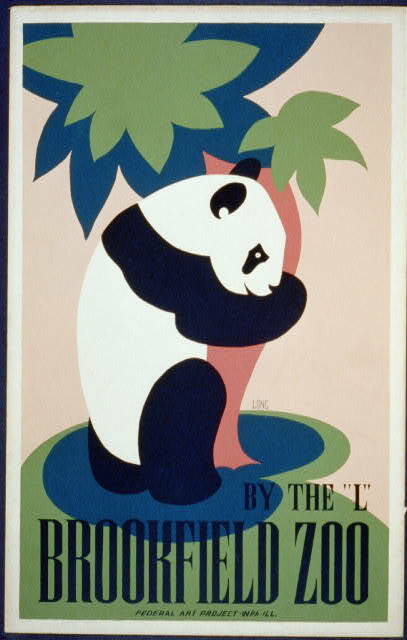 The collection of WPA posters from the 1930s and early 1940s is so very wonderful in its variety. 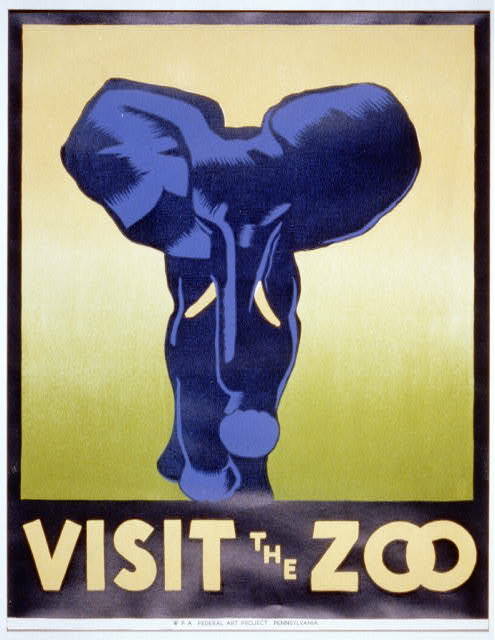 You go from ads warning about the dangers of syphilis, to reminders to turn off the iron, to wartime reminders to watch your words, to kid's posters emphasis the importance of reading -- all done that beautiful WPA graphic design. 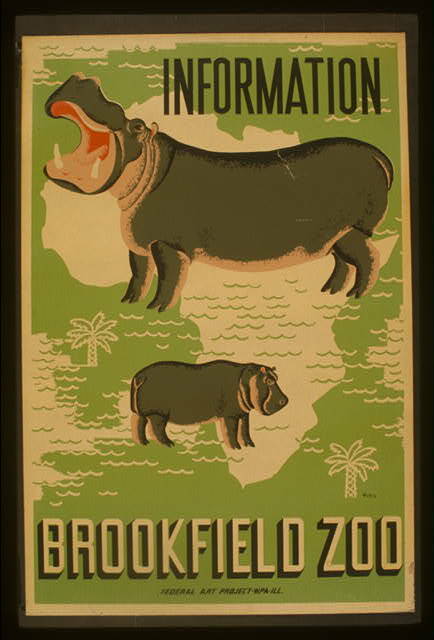 Various posters cover wholesome activities and destinations, some general (ie, 'hiking'!) and others more specific. 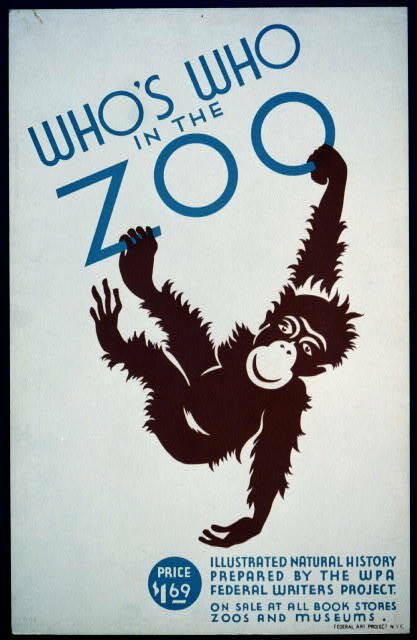 Today's selection comes from these, illustrating the joys of -- the zoo! 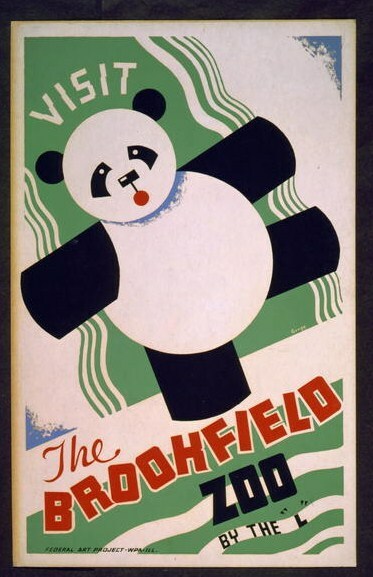 Coming, as always, from the amazing collection of the Library of Congress. 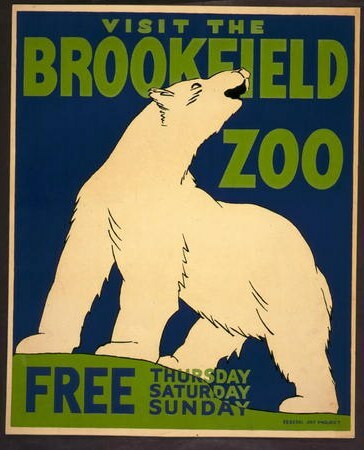 This are very nice posters!